Winter Activities in Canada You Just Cannot Miss! With winter just around the corner, we thought that this was the perfect time to post Vinay's fabulous guest post. Instead of dreading that first snowfall, embrace the white stuff and take up a new hobby or sport. This post will give you all the ideas you need to enjoy the great outdoors in the true north. Don't forget to bundle up! Canadian winter is a manifestation of nature's harshness. In most parts of the country, people trudge through the snow for almost six months of the year, from November to April. Though some may prefer to hibernate, there are others who do not wish to fall prey to the boredom of cabin fever during the long winter season. The sub-zero chill freezes the canyons, caves and crevasses in the regions of Banff, Lake Louise and Jasper in Alberta. Winter transforms these resort towns into gateways of icy wonderland. Climb the glistening canyon walls and walk across vast sheets of ice to explore the beauty of locations that are seemingly inaccessible during summer. As the temperature drops, the fishing action heats up across Canada. Ice fishing presents a unique fishing experience to locals and visitors alike. Stepping on a frozen lake, drilling a hole in the icy water, inserting a fishing line and waiting in anticipation to catch a trophy fish can be a rewarding experience. Depending on the region, you can fish for trout, walleye, northern pike, whitefish, black crappie, perch and lot more! Lake Simcoe (situated 60 miles north of Toronto) is popular among anglers. During winter months, lakes in Alberta, Manitoba, Ontario, British Columbia and Quebec are also good for ice fishing. Dog sledding is a legendary Canadian winter adventure. 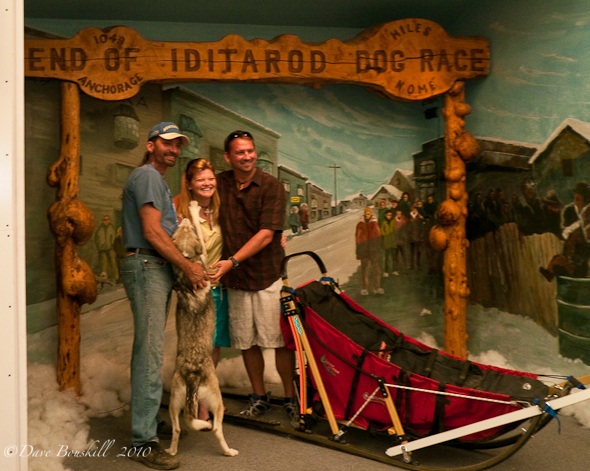 It is so popular that you can go mushing in all thirteen Canadian provinces and territories. However, the sledding period is determined by the climatic variations across the country. For instance, Whitehorse in Yukon enjoys dog dog sledding from November to March, whereas Quebec’s mushing season runs from January to March. Ice climbing is gaining increasing popularity among winter thrill seekers. It is a challenging and vigorous activity that demands sound physical fitness. If you feel the urge to scale new heights on frozen waterfalls and towering slopes of ice, head to the Canadian Rockies. 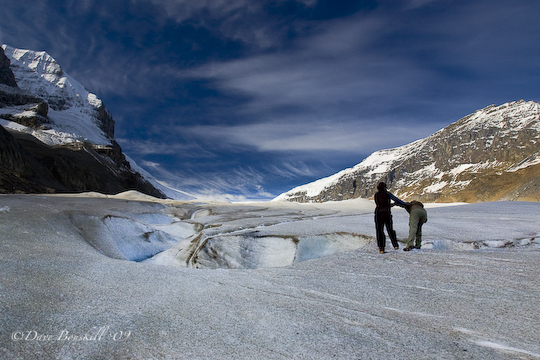 TheGhost River Valley, Bow Valley, Stanley Headwall and IceFields Parkway in the Rockies have attracted climbers from across the globe to scale the glittering ice in picturesque surroundings. Canada is blessed with some of the best locations for skiing and snowboarding in the world. In addition to the beautiful snow-clad mountains, visitors can also check illustrious ski resorts that offer excellent accommodation and facilities that complement the outdoor fun. You can have the best skiing and snowboarding experience between Alberta and British Columbia, on the west coast of Canada. 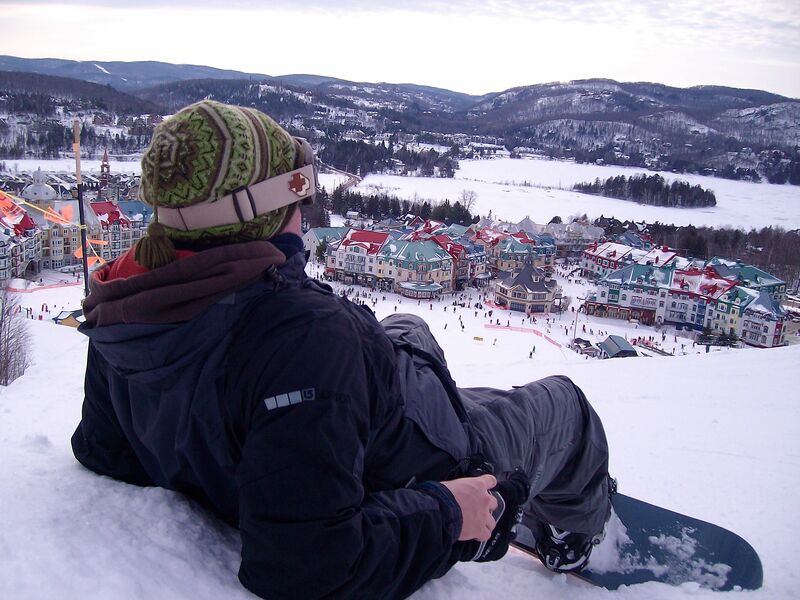 Mont-Tremblant, Quebec is another favourite skiing destination. The Aurora Borealis, also known as the Northern Lights, is a natural display of light in the night sky. This phenomenon is only visible in the Northern Hemisphere. The native Cree people called it “the dance of the spirits”. It will cost you nothing to gaze at the beautiful Aurora Borealis. Head to Yellowknife, Goose Bay, shores of Hudson Bay in Manitoba, and the prairie provinces of Canada to get the best view of the Aurora Borealis. Canadian cross country skiing (also known as “XC skiing”) is a sport as well as an entertaining activity. Since its inception over a century ago, cross-country skiing has earned its reputation as a significant component in the national tourism industry. Cheered by professional athletes and winter enthusiasts alike, this activity is well-suited for races and competitions as well as for family fun and leisure. Moreover, it is inexpensive compared to mountain or alpine skiing. Popular cross-country skiing trails stretch from British Columbia to Nova Scotia, with branches extending into Yukon and Newfoundland. 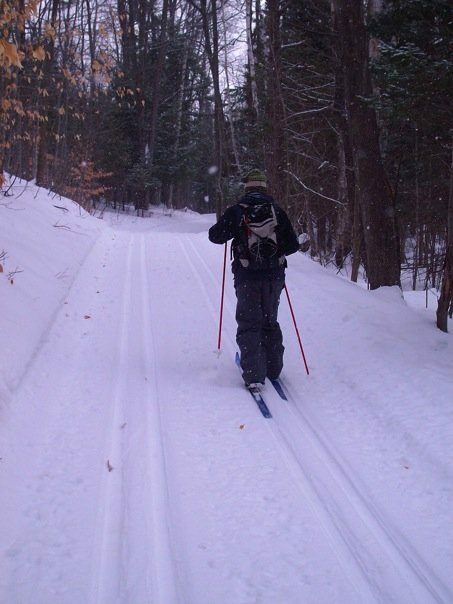 Lappe Nordic Skiing Center and Stokely Creek Ski Touring Center in Ontario, as well as the Huberdeau Trails and Parc National de la Mauricie in Quebec are considered as prime cross-country skiing locations. If your legs cannot take the strain of skiing, you can gear up for snowmobiling. Over the past decades, snowmobiling has etched its mark among popular winter activities in Canada. Though it is physically less challenging compared to skiing or snowboarding, you can enjoy the speed and adventure of riding a snowmobile (also called as “skidoo”) in the vast snowy terrain. From Newfoundland to Vancouver, there are numerous trails that offer the perfect snowmobiling experience. Canada has gone beyond short trails by constructing the Trans Canada Trail, which connects one part of the country to the other over a 21,500 kilometer long trail. Snowshoeing is a popular activity among families, couples and fitness enthusiasts. The technique of snowshoeing is easy to learn and it is an inexpensive activity. 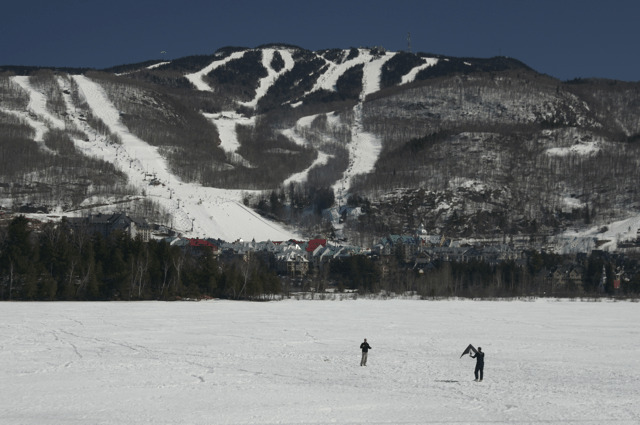 Plan a hike in the winter forest, snowshoe across frozen lakes and ascend mountain slopes. As a bonus, it acts as a great workout too. As a matter of fact, many walkers, runner and hikers are choosing snowshoeing as their preferred winter activity because it burns many calories. The most famous snowshoeing destinations are Callaghan County in Whistler, the Canadian Rockies, and parks of Northern Ontario. By late December, most of the lakes and ponds in Canada are frozen. Public skating rinks and ponds are present in almost all Canadian cities. The best part is that skating in public rinks is absolutely free. You can also skate on the lakes and lagoons located in parks. Whether you are gracefully sliding on the ice floor or playing a game of hockey, you are sure to have fun on the ice. Just watch out for the ‘Thin Ice' signs. To have a memorable skating experience in a public rink, visit the Rideau Canal in Ottawa, Ontario. It is the biggest outdoor skating rink in the world and Canadians simply love to skate on this canal. Building a quinzhee from a pile of snow or constructing an igloo from blocks of ice with your friends and family can be a unique and fun-filled experience. Though it would take you hours in the snow to build your own cozy quinzhee or igloo, there is an overwhelming blissful feeling of crawling inside and resting within one. They also make ideal forts during snowball fights. Moreover, you can keep yourself warm in the freezing outdoors. This guest post is written by Vinay Shingornikar. He is a distinguished writer and has having authored a numerous articles across a wide spectrum of publications. Currently, he is happily employed with Flight Network. Founded in 1998, Flightnetwork.com has grown to become Canada's second most visited online travel agency, specialising in offering highly discounted prices for domestic and international flights. 29 Responses to "Winter Activities in Canada You Just Cannot Miss!" Though all this sounds amazing, I would personally be best tempted by the “build you own Igloo” activity. It might be a little time-consuming, sure, but once finished you have the best refuge that will protect you against the cold and snowballs! it seems nice to have trip there. I could not make it in fall2010 but I have planned for this fall to open in Canada and do all these fall activities but I like skiing most. Canada is definitely a great place to celebrate winter. You may want to add visiting an ice hotel and winter camping as one of the most popular outdoor activities in Canada every winter. Hope to read more from you travels! From these activities I think I’ll select skating the Rideau Canal, although skiing is a close second. .-= Robin´s last blog ..10 Outdoor Ice Rinks around the World =-. Did some snowshoeing at Grouse Mountain today in Vancouver – perfect conditions and for December 5th that’s pretty sweet. Skating on the Rideau Canal is one of the activities I miss most in eastern Canada. Grew up in Ottawa when winter seemed to last longer than now and would sometimes skate 18 miles in a day. I hear there is a downhill skating (yes you read that correctly) race at the Quebec winter carnival in Quebec City sometime in March. Now that’s what I call crazy. .-= Leigh´s last blog ..Photos of the Week- South Winchelsea Island- BC =-. Canada is a wonderful place to travel. Having live there my whole life, I know that it’s as filled with trees, mountains and beauty as you see in the pictures. I recommend taking a trip there! Thanks for sharing. .-= Mary [email protected] White Rock BC Hotels´s last blog ..22 Years of Travel Experiences Creates a Special Retreat for the Business Traveller! =-. Thanks Mary. And White Rock is a beautiful place in Canada to visit. You really make me miss the snow, Ill I ever get is rain living in Seattle now. Banff is on my to visit list for sure. You might even inspire me to make the trip this winter. The view from the top of the ski hill is amazing. We might get some snow around here this winter is what I have been told so Im just crossing my fingers. .-= Michael´s last blog ..How To Create A Budget for Your Travel in Just 3 Steps =-. Where are you located Michael? Hope you get some snow! Snow shoeing sounds like such hard work. I am moving to the snow in Japan soon for the season so I am hoping to improve my snowboard skills. Can’t wait to get to Canada though great photos! Never even thought to go night skiing. Sounds lovely! Thanks for the suggestion, Davendeb! .-= Tran´s last blog ..Traveling Guyana on a Budget =-. Oh yes, you must go night skiing. It is heavenly. Maybe that’s why I have spent the last ten winters in SEA. Nice post for those who like winter. Actually, I would like to go dog sledding sometime. .-= Nancie´s last blog ..Through the Sandbox Lens 18 &8212 The Raffles Hotel- Singapore =-. Haha Nancie. That is awesome. Getting off the chair lift causes people a lot of grief. We have seen many a pile up happening at the end of the chair lift. We haven’t spent many winters here in the past few years and we miss the fun in the snow. We actually enjoy winter activities, the best thing to do is get out of the house. We were part of an outdoors group lead by our good friend Nani. In the summers we cycled together in the winters we snowshoed. There is nothing better then getting out in the woods after a fresh snowfall. But I totally understand you spending winters in SEA, they can be brutal too. There is nothing worse than scraping the ice off the window at 6:00 in the morning when you have to go to work. .-= Cam´s last blog ..Photo of the Week- Split Harbour- Croatia =-. I agree, I am going to miss the snow, but then again…We love the beach! Great suggestion! We used to always toboggan. I like that you call it coasting. Puzzles and games with hot chocolate is an amazing way to spend a day. Aw, now I am sorry we are missing Winter! I’m not a huge fan of winter but I do enjoy night skating with a mug of hot chocolate and Baileys. Ooh, that is perfect. I do enjoy night skiing. There is something magical about hitting the slopes when the wind dies down and you are cutting some curves under the lights. The Baileys is always a bonus.